Travel theme: Roads | Where's my backpack? As my road trip around the US plunges into its final stretch, I wanted to pay tribute to the unsung hero of the journey… the great open road. One of the biggest ‘wow’ moments I had on my journey from Seattle to Boston was when our car crested a hill along I-90 and I suddenly understood why Montana was called Big Sky Country. On the Utah leg of the trip, Highway 24 proved so spectacular I couldn’t limit myself to just one photo of this wondrous and at times unnerving road. 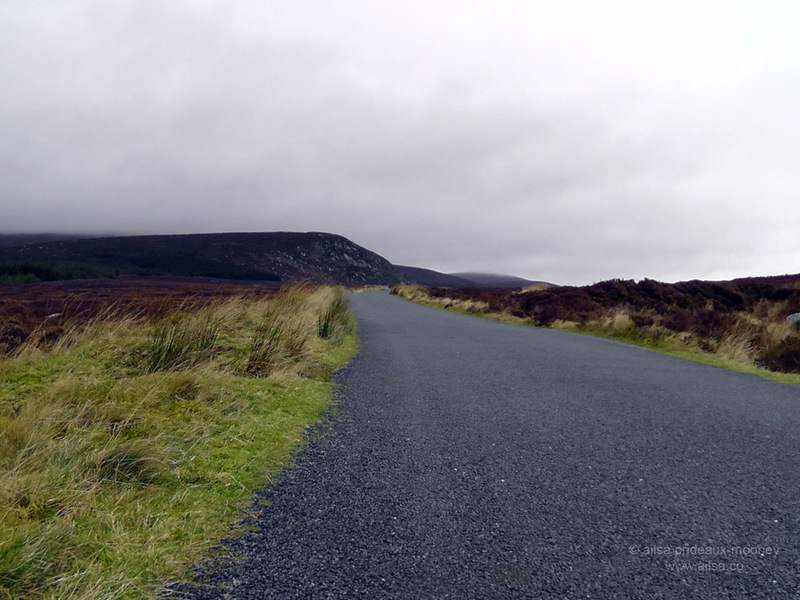 In Ireland, you can’t beat a long drive along the winding road that leads across the bleakly beautiful Featherbeds. Last but not least, a small road winding through Ciudad Vieja, on the way to climbing Pacaya Volcano in Guatemala. 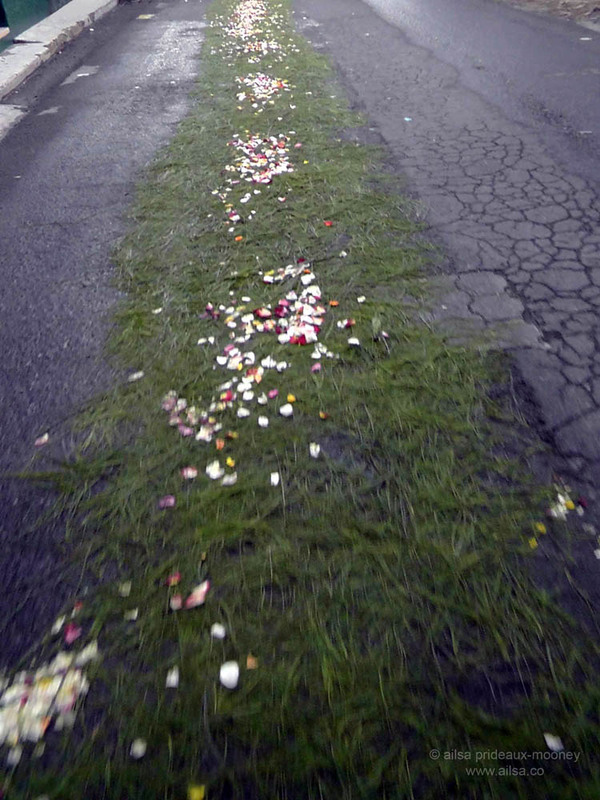 A parade passed along the road in front of us and when the road opened up again, it was strewn with petals and cut grass. Looking forward to seeing you get the show on the road. 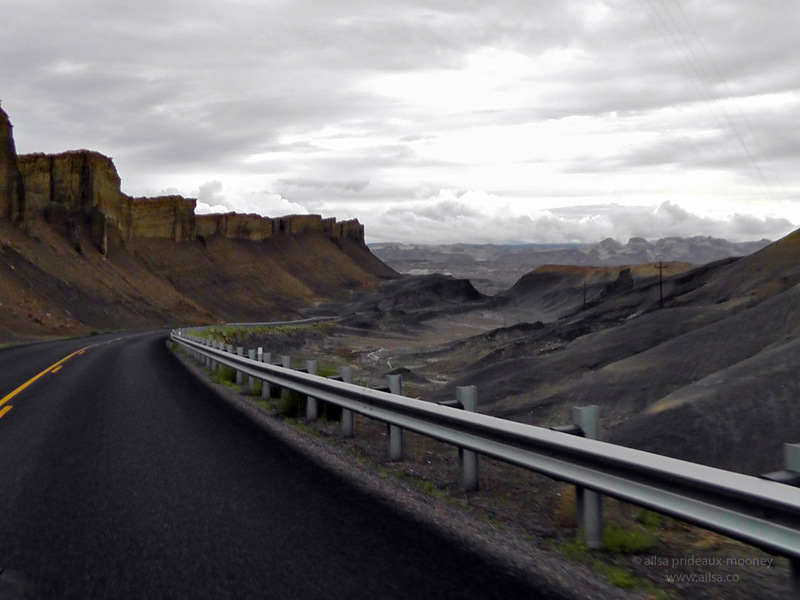 Pingback: Travel theme: Roads | So where's the snow? This is an interesting one, Ailsa! Thank you for the beautiful collection – I was inspired. Gorgeous, Ese, what a lovely series, I love the snow and the poppies and those crazy Italian roads! I’ll be in for this one Ailsa. Great shots but I particularly liked the 3rd one. Looking forward to your post, Lynne. That third shot I find kind of magical, those blazing red rocks and the mystical blue mountains in the background. It was such a stunning road to travel along. There is nothing better than a road trip! Let me look up if I have some images and I`ll share them with you! I have great memories of a long road trip with my sister that took us through Montana on I90 and another through Utah on Hwy 24. 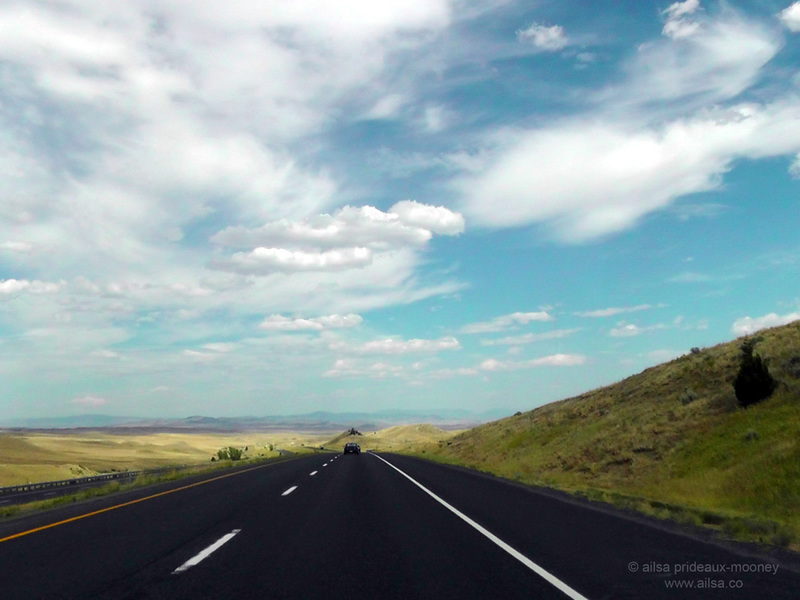 We spent a few weeks driving a slow, scenic route from Seattle to Santa Fe and home again. The horizons and changing landscapes are truly amazing, thanks for the pictures today! Just a little different to yours, Ailsa. Wish I could follow your footsteps. As usual, your shots are simply brilliant! 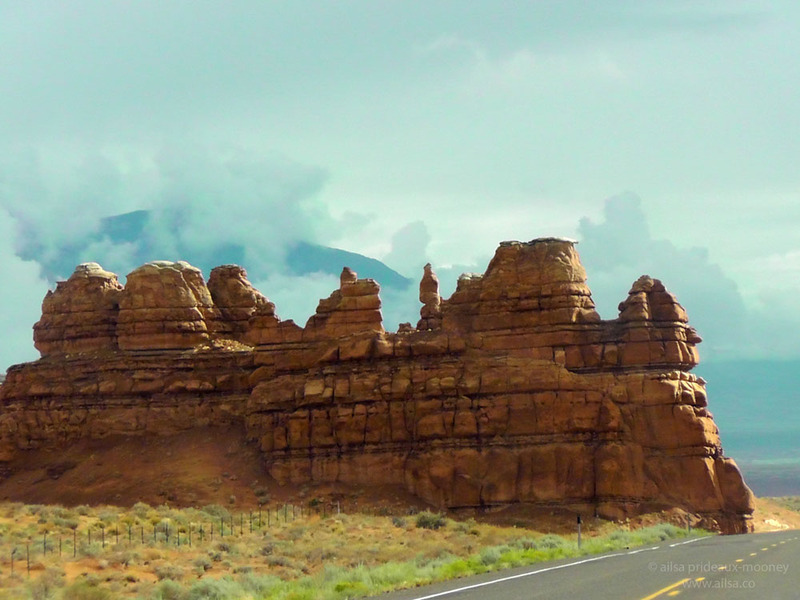 I’ve driven in Utah and your photo brough back some of the splendour of our trip. Will be rifling through my albums this weekend to find my “Road” pics. Whoa, how nice of that sandstone formation to move over to the side of the road for your camera! I could not find any actual roads in my photos, so I had to take a different. . . route (sorry). Yes, I thought it was very considerate of that sandstone 🙂 Love your thinking outside the box interpretation, and I promise, I won’t ask about that one block in Amsterdam! I’m still trying to get through everyone’s bridge entries, ad, so you’ve still got time! Gorgeous shot of the Dolomites, Ingrid. I didn’t know you’d moved over to Blogger. When did that happen? About 2 or 3 weeks ago. I will gradually move my travel blog or part of it there too. I’m thinking about relocating too, there has been a lot of quirkiness with WP recently. Why did you decide to move? Inspiring theme again Ailsa, and adorable pictures, I especially favor your third one. To start, here ‘s already an oldie I adpated for the occasion. Next week I’ll drop by for a more recent entry. Beautiful, Dauw, and I love that quote too! These are gorgeous! I especially like the road in Ireland. I’m traveling this weekend so I’ll be on the lookout for an entry. Wow, that top shot is insane, oh how I wish we’d driven along Big Sur on our road trip. It looks amazing. Thanks for another great theme. All your photos look great but the first one is stunning! Love your Roman road in Portugal, I sometimes forget just how far the Roman Empire stretched in its day. Wonderful photos, Ailsa. Wonder challenge! Oh Pat, I love your post. Those shots of Kyrgyzstan are giving me such wanderlust, I want to be sitting in the back of your car now as you cross that mountain pass! Your photos are wonderful as always!!! Great topic. Here is my take on your challenge!! ENJOY! Pingback: Roads – Ailsa’s WTT… | Ouch!! My back hurts!! Roads can be rough and almost breaking both my hands wile searching for the Plain of Jars in Phonsavan, Laos gave me a new appreciation for pavement.